With a name like Volterra this better be a particularly formidable or deliciously spooky place. It is medieval so it’s sure to have some gluttony and debauchery. And who doesn’t love that? 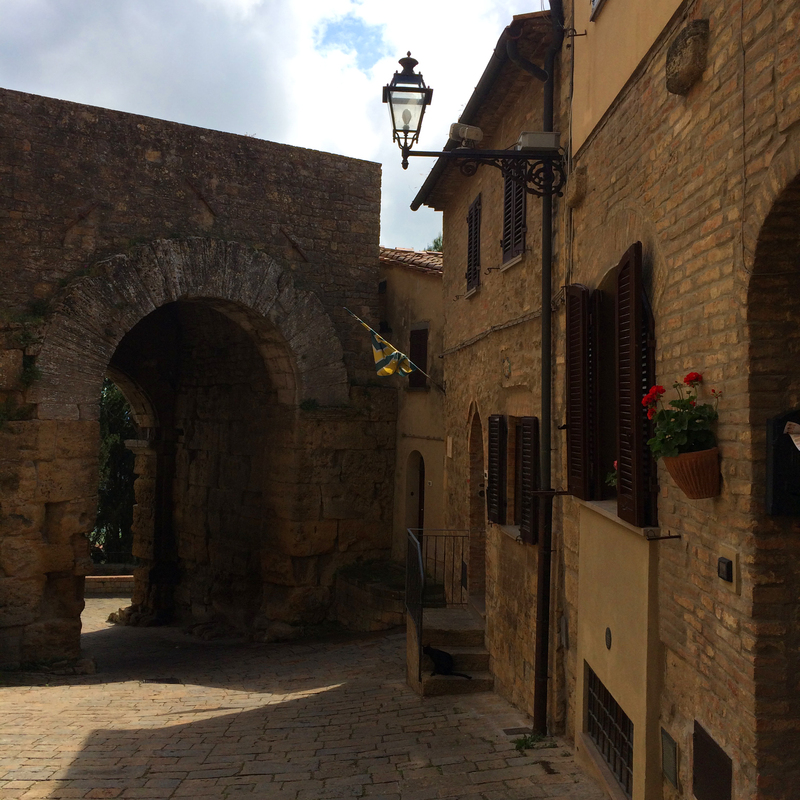 After San Gimignano, the lot of us pile into our respective shuttles to visit the next town – Volterra. I know I probably should have done a little homework, gotten the back story of these hill towns we’re visiting. I had the itinerary, it was a perfectly reasonable possibility, but I was busy, or maybe lazy. Or maybe, and this is really much closer to the truth, I prefer to feel the place, get a sense of it without prejudice, learn as much as I can about it from it. Then read about it if it interests me enough. And perhaps return. I enjoy the wonder of exploration and imagination. For this town we will have a guide. Internally I groan and have a minor tantrum, “I don’t wanna!” Externally I may have rolled my eyes. It’s a condition for which I no longer have a filter. To my surprise, our guide was awesome! 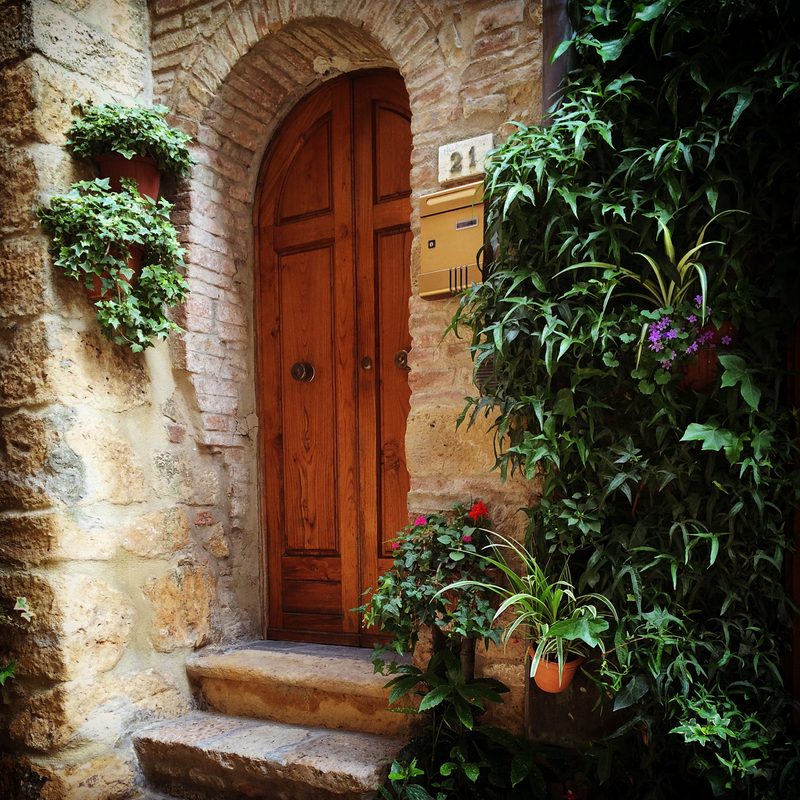 She shared so much history with us that it brought the whole region of Tuscany to life dating back to before 300 BC. I did not record it, it was 21/2 hours, and I cannot recall it all, but I can share a few tidbits that stuck with me. The walls surrounding the city, remember, each hill town has them, are Etruscan built and comprised of huge stones that hold each other in place without cement or mortar or even mud. They are 20-30 feet tall, taller in some places. Tall. Very tall. The gates are equally impressive, soaring to heights of 15 feet or higher. In India the gates were so huge to allow elephants entrance, here I suspect men on horseback. At one point in history, the Romans were taking everything. Pillaging towns and claiming them for their own, then usually abandoning them. The circumference of the walls surrounding this city were four miles long. This was unprotectable so the Volterrans build an inner wall of just a two-mile circumference. Inside that wall they had water resources, farms and food storage, unlike many towns, allowing them to sustain a five-year beating. These same walls would be tested by Hitler’s army in the early 1940’s. The main vulnerable gate that would be approached by the army became the town’s focus. Men, women and children worked all night long to pull stones from internal walls to plug the gate so that it was impassable. It worked. 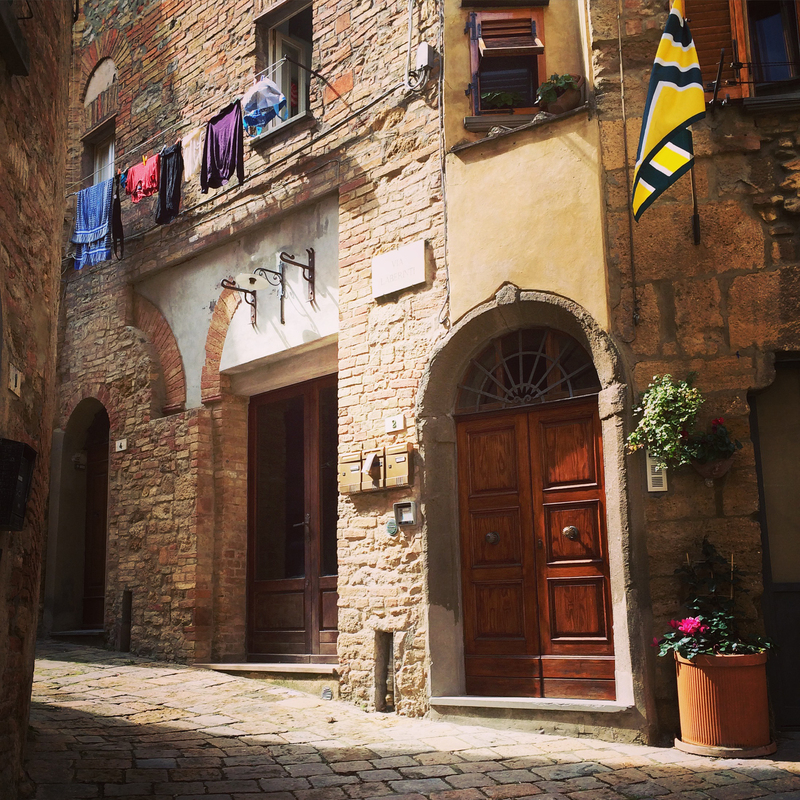 Because of the ingenuity and dedication of the people to their town, Volterra is known as the longest continuously inhabited city in Italy. There is proof of this dating back to nearly 800 BC. This is a town that is solid. There is so much history here that volumes could be written. It is also a beautiful town today. 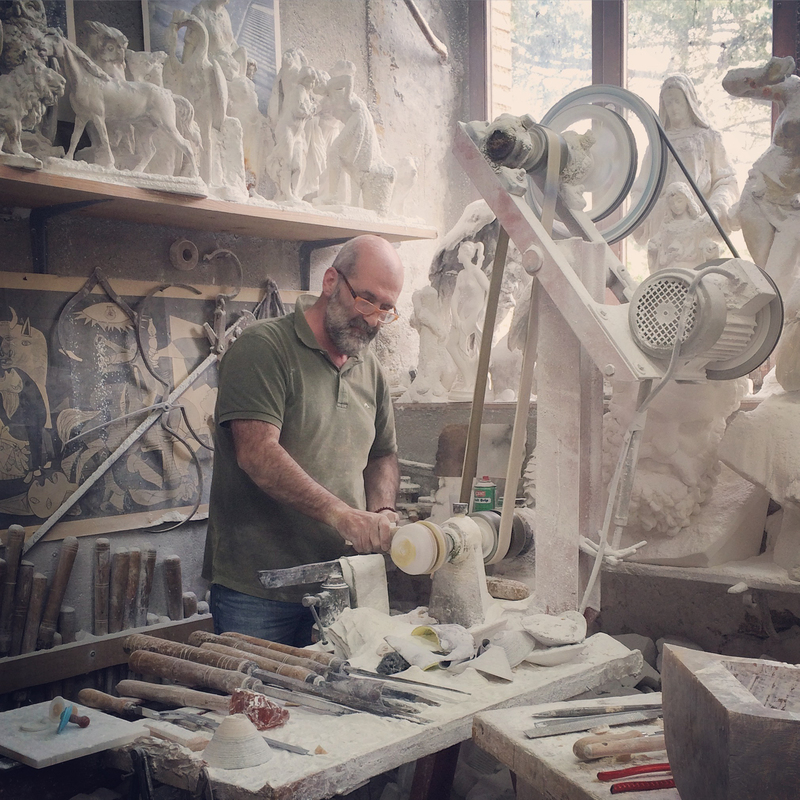 Alive with restaurants and shops, it is also known for its alabaster.Toward the end of our tour, we are guided down a hill, around a corner and into a light filled space full of glowing white statues and bowls. In the front of the shop pieces are back-lit for sale. The other half of the shop functions as work space. Every square inch is covered in fine white alabaster powder, it’s like walking through a cloud. One of the gentleman proprietors treats us to a demonstration, completing a bowl from a solid block of alabaster in about 5 minutes. The other gentleman is gently chiseling details into the face of a woman. Like so many crafts, once I have seen the work and the process I have a much greater appreciation for the art form. I am compelled to buy something that candle light can dance behind. And so I do. Our day has been very full but we are not done yet. We have plans to take our evening meal in a restaurant somewhere in this old hill town. We find a spot that appears empty and flooded with warm light. It’s around 6 pm, way too early for a proper dinner in Italy, but we go in any way. There are a lot of us so we take residence of several tables in the very front room. There is room for just 2 more diners and a small table. The balloons of unrest, frustration and fatigue have been let go. We are midway through our retreat and the natural things that come up – unmet expectations, homesickness, learning new people and their idiosyncracies – have been released. Right now, smiles are wide, laughter comes easily and we are all one big happy family. It seems a fitting end. But it’s not over yet. On the way home, after a bit of wine, a few of the girls have to stop. There are no bathrooms in sight. We stop at a service station which is closed but kind enough to be ringed in bushes.